Our transplant hepatology fellowship was established in 2005 and we have trained 19 physicians from 9 countries. The program includes several unique distinguished features: We are the largest living donor liver transplant program in North America, the largest donation after circulatory death (DCD) region in Canada and the US, leaders in normothermic perfused liver preservation for extended criteria grafts, liver transplantation for patients with extended hepatocellular carcinoma. In addition, our program pursues innovative research and clinical protocols, such as tolerance induction after liver transplantation, living donor liver transplantation for novel transplant indications, such as patients with low risk colorectal cancer metastasis. Teaching and education has a strong tradition in our program and we have established an outstanding teaching curriculum. It is our vision to train the future leaders in transplant hepatology with an exceptional clinical exposure, cutting edge research, and high-level education. 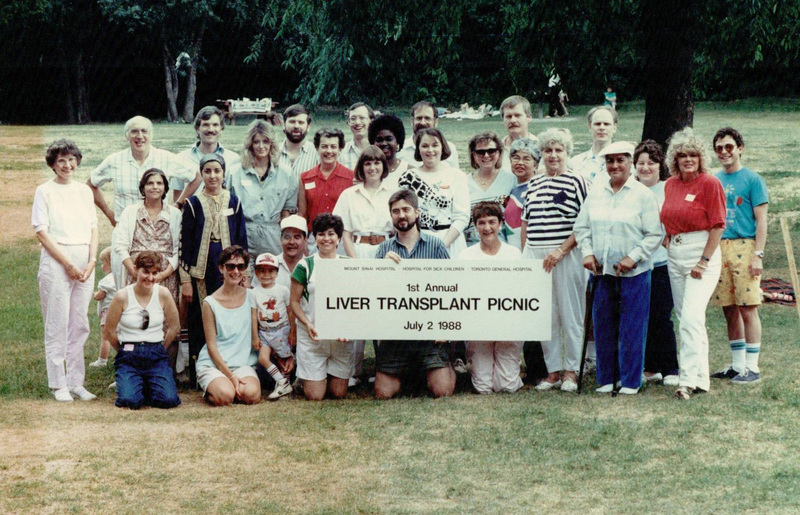 In 1985, under the direction of Dr. Bernard Langer, Professor and Chair of the Department of Surgery and Dr. Arnold Aberman, Professor and Chair of Medicine discussions were initiated to establish a fully integrated medical/surgical pediatric and adult liver transplant program in Toronto based at the Toronto General Hospital. Dr Langer who served as the first director of GI Transplantation (1985-1989) asked Dr. Gary Levy to take a lead role in the concept and serve as an interim medical director of GI Transplantation and Dr Paul Greig to lead the adult surgical team which included Dr B Taylor, Dr S Strasberg, and Dr Langer. Dr R Filler and Dr R Superina were invited to provide surgical leadership at the Hospital for Sick Children. In his capacity as medical director, Dr Levy organized meetings, prepared source documents and provided the medical and immunologic leadership both for adult and pediatric transplantation. Dr M J Phillips joined the team and provided expertise in pathology both at the TGH and HSC. The first 2 adult transplants were performed in 1987 and the clinical program grew rapidly and by 1991, 70 adults and 15 children were transplanted. With this growth, TGH allocated 3 Gerrard Wing as the home of GI Transplantation and provided a dedicated nursing Director (Mr Scott McIntaggart) and a nurse coordinator (Martha Ettles) to provide further leadership and support. The GI Transplant Program was established with aim of providing excellent clinical outcomes but also to complement the clinical program by developing outstanding research and education programs in the field of immunology and transplantation. 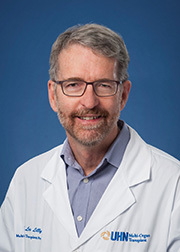 Dr Paul Greig led in the establishment of an internationally renowned education program which soon attracted large numbers of surgical and medical fellows to Toronto to train in liver transplantation. 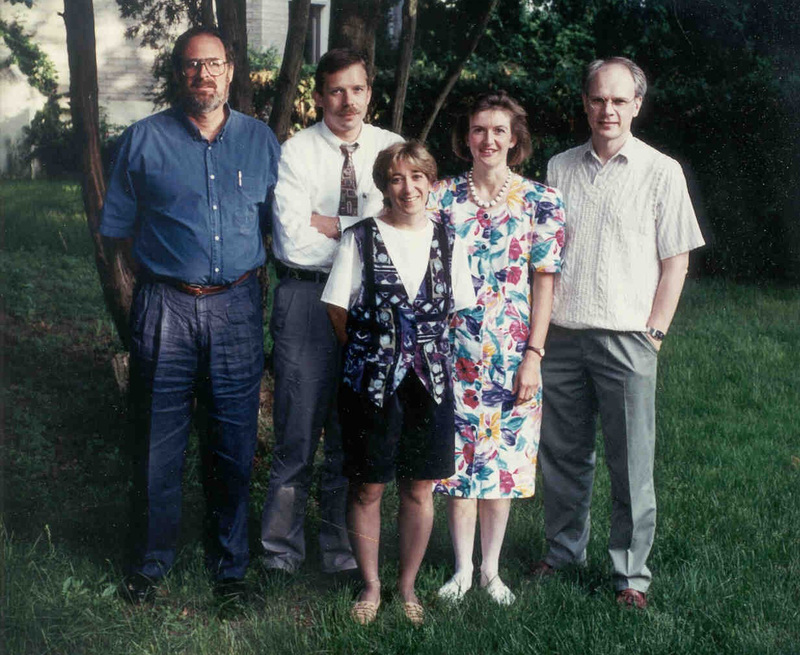 In parallel a cutting-edge research program in immunology and transplantation was established which was led by Dr Levy and Dr M Julius Professor Immunology at the University of Toronto. 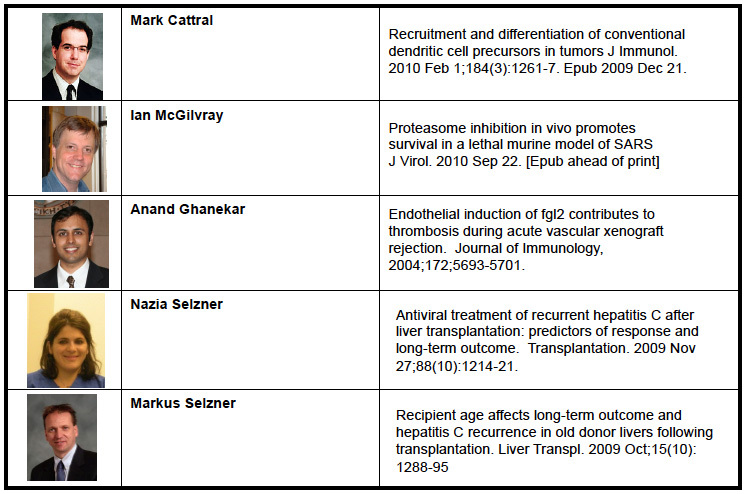 As proof of the excellence of the academic research being performed within the Toronto Transplant Program, the medical research council awarded its first 5 year group grant in Transplantation to Dr Levy and his research team consisting of S Strasberg, M J Phillips, O Rotstein and 2 outstanding PhD scientists who had primary appointments in the Department of Immunology Drs L Zhang and R Gorczynski but who were cross appointed to the Department of Surgery where the Transplant program was housed. Additional recruitment occurred of outstanding surgeons and physicians to complement the team that had been assembled. In surgery, Dr S Chung, Dr A Hemming were recruited to support the further growth of the liver transplant program. Dr Cattral with support from Liz Wright, a nurse practitioner developed Canada’s premier adult pancreas program and. Dr Les Lilly was recruited to provide education and clinical care. Dr D Grant was recruited as surgical director of Transplantation and to lead the development of a live donor liver transplant program. A number of the surgical and medical physicians and surgeons who trained in Toronto have either joined the program in Toronto (Dr I MacGilvray, Dr A Ghanekhar, Dr M Selzner, Dr L Lilly, Dr N Girgrah, Dr G Therapndos, Dr N Selzner) or now lead programs in the United States or in Europe. Dr P Sheiner (New York), Dr A Paul (Germany), Dr P Clavien (Zurich), Dr G Morgan (NY), Dr J Forster (Kansas), Dr S Chung (Vancouver BC), Dr A Hemming (California), Dr D Dubay (Alabama), Dr M Reizig (Saudia Arabia), Dr I Al Traif (Saudia Arabia) are but a small example of the outstanding surgeons and physicians who have trained in Toronto. Additional recruitment occurred of outstanding surgeons and physicians to complement the team that had been assembled. In surgery, Dr S Chung, Dr A Hemming were recruited to support the further growth of the liver transplant program. Dr Cattral with support from Liz Wright, a nurse practitioner developed Canada’s premier adult pancreas program and. Dr Les Lilly was recruited to provide education and clinical care. Dr. D Grant was recruited as surgical director of Transplantation and to lead the development of a live donor liver transplant program. The clinical program has continued to grow and flourish attracting additional outstanding surgeons and physicians including Dr M. Selzner (Zurich), G Saposchin (Barcelona), Dr E Renner (Manitoba), Dr N Selzner (Zurich) and Dr M Bhat (McGill University, Montreal). The live donor liver transplant program is now recognized for its clinical excellence and serves as a national and international center for training and ASTS certification. The educational program led by Dr Greig and now Dr M Selzner continues to be in demand for training of young surgical scientists and has been recognized by the ASTS for its excellence. 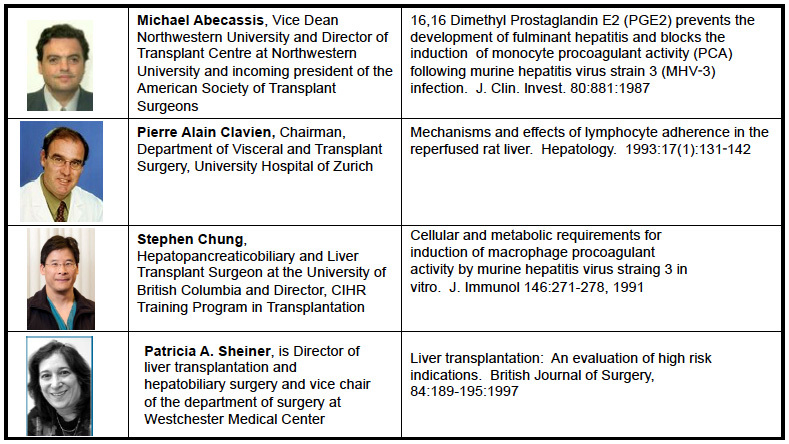 The research program(s) that have been established as part of the GI and MOT Transplant Programs in Ischemia Reperfusion injury, Ex-Vivo Perfusion, immune tolerance and liver cancer are recognized for their excellence and have received grant funding from national and international agencies including the NIH (USA), CIHR (Canada), the Canada Foundation for Innovation (CFI), the National Centers of Excellence and Genome Canada. Overall, over the 30 year since it was formed and as part of the MOTP, the GI Transplantation program has grown and achieved clinical and academic excellence and today is one of the premier programs in the world. Presently it performs approximately 200 adult liver transplants annually and provides education for fellows, residents and medical students and conducts ground breaking research. Click here for information about this program. PGY3, 4 or 5 Residents registered in a Residency Program in Internal Medicine in Canada are eligible to do an elective in Transplant Hepatology at UHN. We accept a period of 1, 2 or 4 weeks. Eligibility and acceptance will be contingent upon review of the applicant’s CV and, if necessary, letters of reference. The Guidelines of the University of Toronto Department of Internal Medicine will apply (i.e. University of Toronto Residents will be given the first opportunity at educational experiences). There will be a maximum of 1 Elective Resident on Transplant at each time point. Requests will be handled on a “first come, first served” basis. We will try to accommodate the requested dates of the Resident who inquires first. Elective Residents will be assigned a Staff as Supervisor who will be responsible for orientation, mid-term feedback, and final evaluation including debriefing and completion of their Residency Evaluation Forms. The Elective Resident will attend that Staff’s clinics and inpatient service. Requests for an Observership will be considered on an individual basis, based on the applicant’s CV and letters of reference. The University of Toronto, Canada’s largest university, has a long and complex history. It was founded as King’s College by royal charter in 1827 and in 1850 became the nondenominational University of Toronto. In the 1850s the University of Toronto was reorganized and University College was created as its teaching arm. Structural changes encouraged other colleges to federate with the University: Victoria College (Methodist, founded 1841 in Cobourg, Ont) and St Michael’s College (Roman Catholic, founded 1852 in Toronto by the Basilian Order) joined in 1890 and Trinity College (Anglican, founded in 1851) joined in 1904, each of them retaining university status in order to continue granting degrees in theology. More information regarding the University of Toronto is available at http://www.utoronto.ca. The University of Toronto Medical School opened in 1843. In 1853, the University suspended the school’s teaching program and transferred teaching duties to the city’s three proprietary schools: Trinity Medical College, the Toronto School of Medicine and Woman’s Medical College. In 1887, the University resumed medical teaching in its Faculty of Medicine. 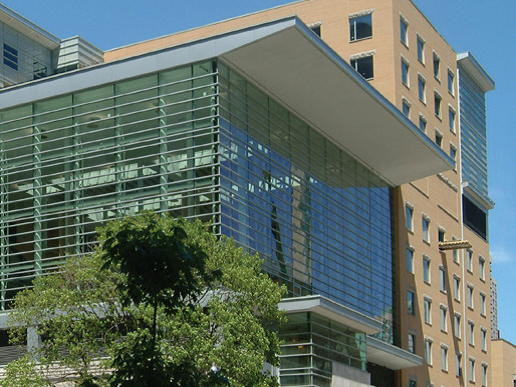 At present, the teaching hospitals affiliated with University of Toronto are: University Health Network (consisting of the Toronto General Hospital, the Princess Margaret Cancer Centre and the Toronto Western Hospital), the Hospital for Sick Children, Mount Sinai Hospital, St. Michael’s Hospital, Sunnybrook Health Sciences Centre, Woman’s College Hospital, Bloorview Kids Rehab, Baycrest Centre for Geriatric Care, the Centre for Addiction and Mental Health, North York General Hospital, St. Joseph’s Health Centre, Toronto East General Hospital, The Scarborough Hospital, Credit Valley Hospital and Markham Stouffville Hospital. Visit the Faculty of Medicine website for more information. The Department of Medicine at the University of Toronto is one of the oldest departments of its kind in North America, dating back to the founding of the School of Medicine in 1843. A major milestone in its history was the establishment of the Sir John and Lady Eaton Professorship of Medicine in 1919; the first endowed chair in clinical medicine in what was then the British Empire. A commitment to equity, diversity and professionalism, and a philosophy of innovation, creativity and continuous quality improvement, informs all we do. Visit http://deptmedicine.utoronto.ca/ for more information. The Division of Gastroenterology consists of 39 full-time faculty, 12 residents, at least 10 clinical and research fellows at three sites. It is the largest division of gastroenterology in Canada – one of the largest in North America – and has the largest gastroenterology training program in the country. The depth of expertise and accomplishments of the faculty, and the breadth and rigor of the training and research activities serve to highlight the vigor of the division. Visit their website at http://utorontogi.ca to learn more. Transplantation at the University Health Network occurs within the Multi-Organ Transplant Program. Founded in 1991, MOT brings together the liver, kidney, pancreas, lung, heart, small bowel and transplant infectious disease programs. The physicians, surgeons, nurses, pharmacists and allied health professionals provide a comprehensive and interdisciplinary approach to transplant patients. The program performs over 500 transplants per year and provides care for over 3000 transplant out-patients. The MOT program has 63 budgeted beds spread over 3 inpatient units, 12 of those beds are acute care beds, an out-patient clinic, the transplant pharmacy, medical day unit facilities, transplant informatics (the OTTR system) and administrative facilities. Additional information regarding MOT at UHN can be found at http://www.uhntransplant.ca. University Health Network (UHN) is made up of Toronto General Hospital (TGH), Toronto Western Hospital (TWH), Princess Margaret Cancer Centre, and Toronto Rehabilitation Institute (TRI). Each hospital retains its identity and name within the Network. TGH has 417 beds with programs in Transplant, Cardiovascular Sciences and Oncology; TWH has 261 beds with programs in Neurosciences, Orthopaedics and MIS (bariatrics); Princess Margaret has 126 beds with programs in Medical, Surgical and Radiation Oncology; and the TRI has a combined 423 beds for rehabilitation. Additional information regarding UHN is available at http://www.uhn.ca. Princess Margaret Cancer Centre (PMCC) is a comprehensive cancer care centre that is organized into 12 Cancer Site Groups. Its interprofessional teams work collaboratively to assess, plan, and deliver personalized clinical care that treats disease and supports wellness and healing at all stages of each patient’s cancer journey. The HPB program functions within the Gastrointestinal Site Group. The GI Site Group at Princess Margaret is the largest group of its kind in Canada. Seeing more than 1,500 new patients every year, its inter-professional team of medical, radiation and surgical oncologists, radiologists, pathologists and allied health professionals work collaboratively to ensure that patients have access to the best care, including nutrition therapy, psychiatric and psychological care, social work, physiotherapy, and occupational therapy. As part of the University Health Network, the PMCC has access to premier facilities and technologies, including those at Toronto General Hospital, Toronto Western Hospital and Toronto Rehab, as well as Mount Sinai Hospital. As an accredited teaching hospital of the University of Toronto, Princess Margaret has a strong focus on research and education. Toronto is one of the world’s most cosmopolitan cities offering a wide range of cultures, languages, sports, food and arts. It has all the advantages of a major urban centre balanced with safe, family-friendly residential areas near the hospital.